This newly-created recipe first refreshes skin with a cooling sensation at a temperature of approximately 15–20 degrees Celsius. The scrub then renews dull summer skin with its potent mixture of potatoes, taro and oatmeal. Potatoes, taro and oatmeal have many therapeutic benefits and when combined, heal the skin naturally after excessive sun exposure. Potatoes, high in Vitamin C, Vitamin B6, and potassium, instantly improve skin tone and tighten the pores. Taro is enriched with Vitamins A and E and helps protect the skin from free radical damage. Oatmeal, a great grain for dry skin, further helps to calm sensitive and sunburned skin. All these ingredients combined will deliver soft and supple skin with a radiant summer glow. 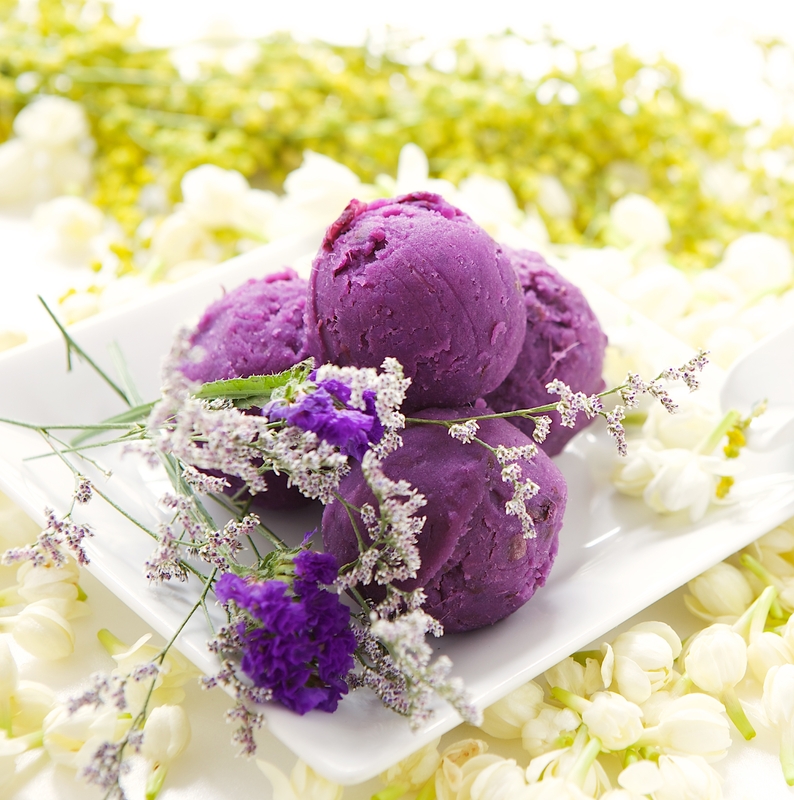 The Ube Ice Cream Scrub treatment is available at all Devarana Spas in Thailand, the Philippines, the Maldives and Nairobi, Kenya. Price: 2,100 THB, (60 mins per 1 scrub) or receive complimentary 30-minute scrub with a minimum two-hour booking. The promotion runs from March 1 to April 30.